Belle is an absolute sweetheart. She came for a visit and decided to stay. She is the absolute snuggler supreme. If you look closely you will see the resemblance to Chips. 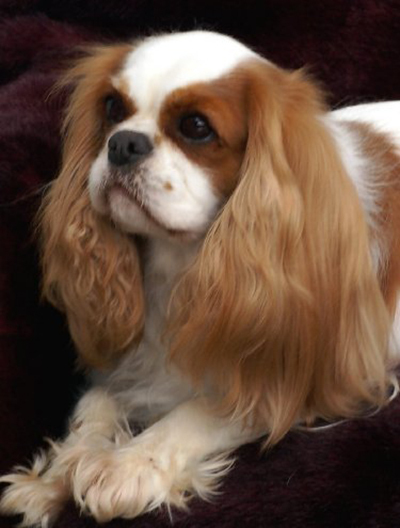 Belle is the granddaughter of CKCSC USA and AKC CH Sanickro Myster Fyre owned by Courtney Carter.